Black and red on white. 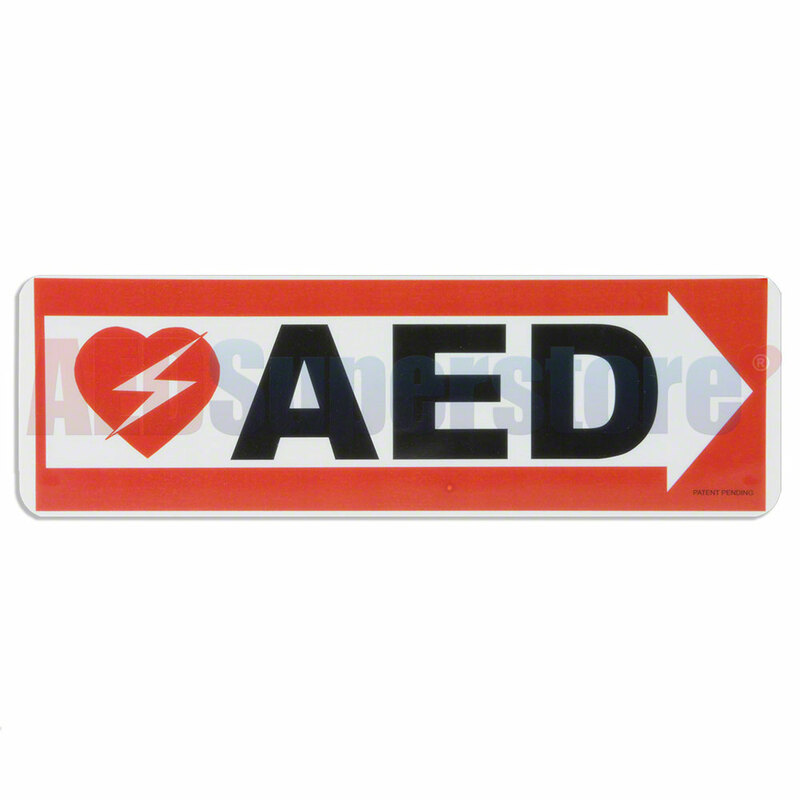 AED Horizontal Wall Sign. 12"W X 4"H (Flat). Impact resistant polyethylene plastic, 1/8 (0.125)" thick. Features a non-glare finish and rounded safety corners. Use it to mark the location of your AED.